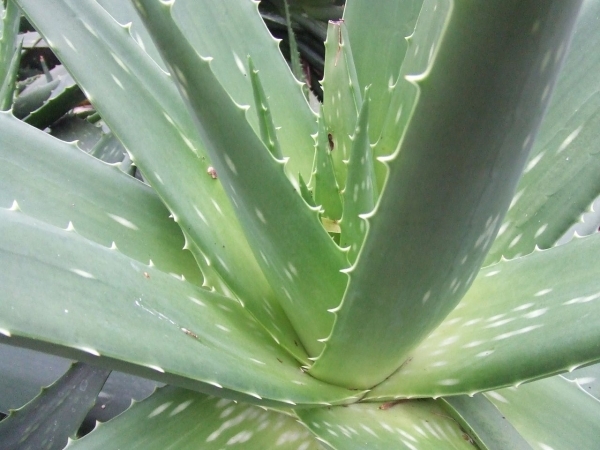 The healing powers of the Aloe Vera plant have been known throughout the civilised world for centuries. While considered by many to be a member of the cactus family it is actually a member of the lily family along with onion, garlic and asparagus. It is a perennial herb with thick, succulent, pointed, basal leaves. The leaves are a grey-green to reddish colour and are sometimes spotted. The margins are slightly pink with pale teeth; flowers yellow in terminal, elongated clusters. 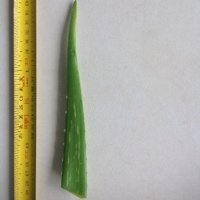 Currently known as Aloe barbadensis it is now agreed that Aloe vera can take precedence. That's much easier for us to remember and the vera distinguishes the more popular garden aloe from that of the A. maculata which is a much larger and more vigorous plant that has become naturalised in the eastern and southern parts of the continent. 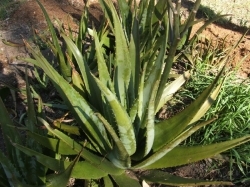 Yes Aloe vera will form an extensive clump over time, you can speed up the process by propagating and planting the young plants as they appear. Growing full sun and spreading almost like wildfire, is great for burns on the skin. essential for summers in Queensland. In the terrible event that I get sunburt (and I am always very careful with my pale skin), this is the most soothing thing to put on it. Need to be careful about putting it in the ground. Past experience has taught me that it can take over everything. I use it all the time for healing minor wounds and burns, and as a moisturiser when my skin is really dry or sunburnt. One stem cut from the base will last at least a week (without drying out completely) on the bathroom bench and all you need to do is cut the dried end, squeeze out the liquid and apply to the skin. Zero maintenence here. A few weeds here and there. This is Aloe Vera Barbedensis, the burn plant. I also juice the leaves from time to time. Planted in the ground in May 2010.